On Saturday morning it was time to say goodbye to the Magdalene Islands and make our way back to Prince Edward Island. The five hour ferry crossing was mostly uneventful. 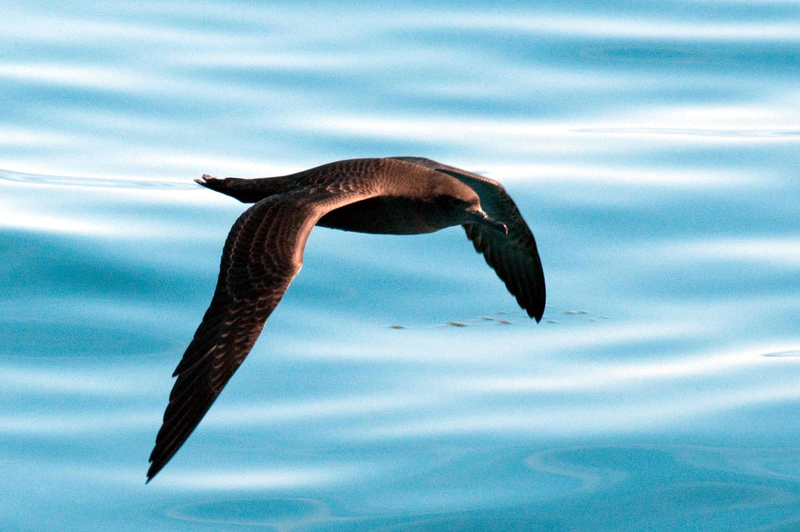 We saw two Sooty Shearwaters and a Manx Shearwater though all three were at a considerable distance from the boat. We had enjoyed some pretty good Humpback Whale sightings on the ferry ride out three days earlier and were hopeful that we might see more en route back. As it turned out, our diligent sentry duty on the windswept front deck was rewarded with just one whale sighting – a Minke Whale. Not a great sighting but a new mammal species for the year. Once back in P.E.I. 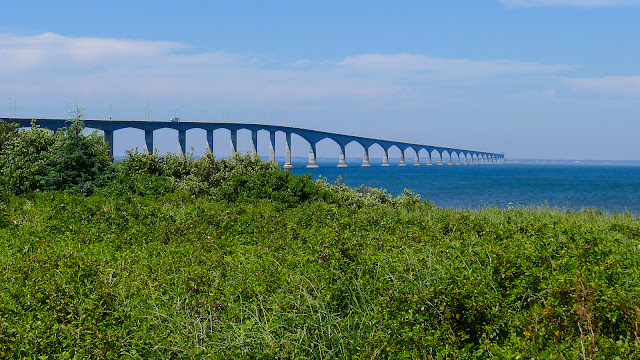 we drove directly to Confederation Bridge and across the Northumberland Strait to New Brunswick – the ninth province we have visited this year! Confederation Bridge is indeed a great Canadian landmark. Completed in 1997, it is 13 km in length and cost $1.3 billion. Cape Jourimain lies at the end of the bridge on the New Brunswick side and this is a very good birding spot so we stopped for an hour and made a good start on our New Brunswick bird list. We managed to spot several warblers despite the midafternoon timing of our visit, including an American Redstart, a new trip bird. But the hour was late and we still needed to reach Saint John so on we drove, eventually pulling into our motel around supper time. The highlight of this leg of our journey was discovering that our rental car had satellite radio and we were able to tune in the Andy Murray v’s Marcos Baghdatis tennis match at Wimbledon! Supper at Britt’s Pub in Saint John was excellent! Sunday, July 1st Canada Day! We were scheduled to catch the noon ferry from Saint John to Digby, Nova Scotia which left us time for some early morning birding in New Brunswick. 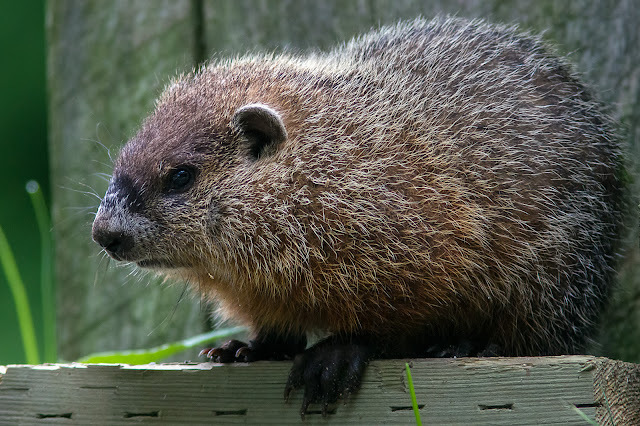 We had a few tips on places to go beginning with Irving Park where we added Woodchuck to our year list, then continuing on to Red Head Marsh and Rockwood Park. All three spots were very pleasant and we would love to have birded longer in the Saint John area. We had several good sightings during the morning but no new birds which are of course becoming increasingly harder to find! 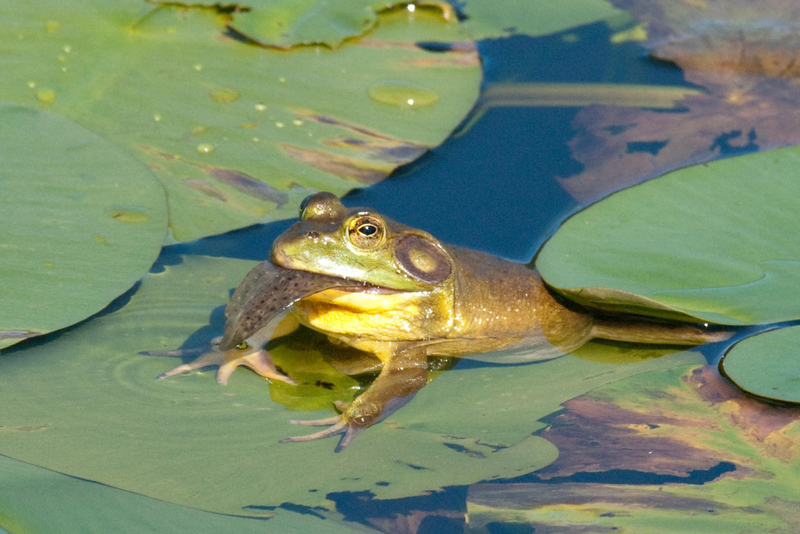 But we don’t only focus on birds and mammals! Sometimes a flower catches our attention, sometimes a butterfly, and today, at Rockwood Park we came across a Green Frog! 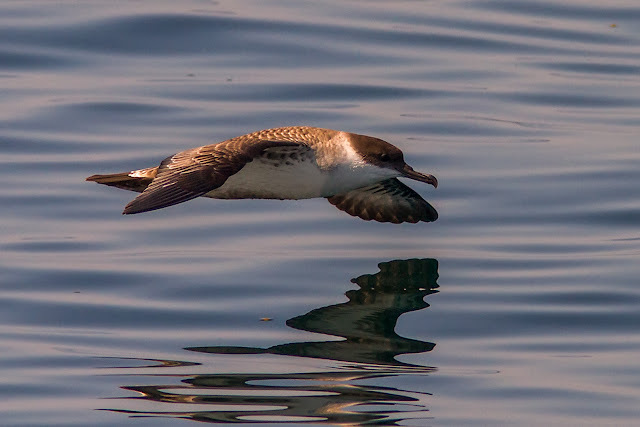 On the three hour ferry ride to Digby, we once again found things very quiet but we did see two Great Shearwaters, a new bird species for the year. Once ashore in Nova Scotia, we drove down the Digby Neck to Brier Island, arriving in time for supper at our Brier Island Lodge Restaurant. We enjoyed a great meal and a relaxing evening made all the better by a nice bottle of Nova Scotia white wine compliments of Brian! Every day has its rewards on this trip but some days we just know we are in for a treat and today was such a day. Our reason for coming all the way down to Brier Island was to go on a whale-watching trip out into the Bay of Fundy. 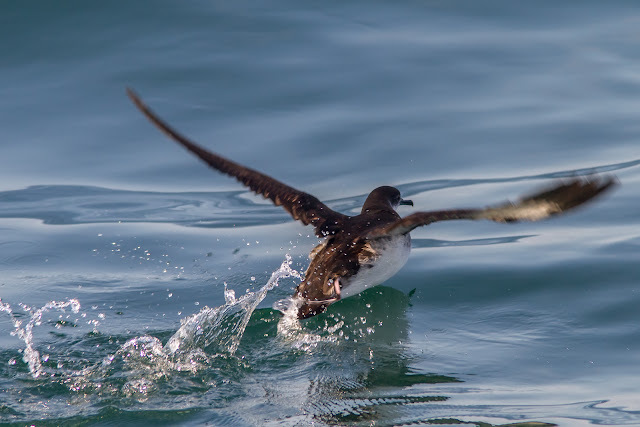 After a very pleasant early morning birding walk and a leisurely breakfast at our motel we drove down to the dock and boarded the “Island Link” for a three hour whaling and birding extravaganza. We were not disappointed! Skipper Roy was a very personable fellow and knew his birds and his whales. There were only four other people on the boat with us so we had all kinds of room and Roy was free to chat with us throughout the journey. 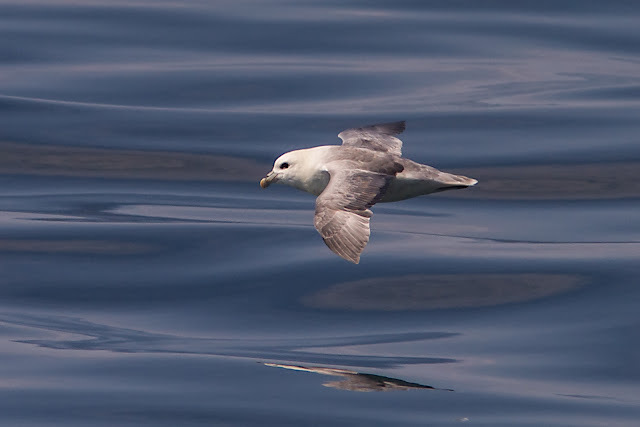 We saw hundreds of seabirds, including great views of Manx, Sooty and Great Shearwaters. Far better views than previously! Even better, we encountered two new bird species for the year – Wilson’s Storm-Petrel and Northern Fulmar. Very early on in the trip we came across two Humpback Whales and these whales stayed close by our boat for about half an hour affording us some incredible views. 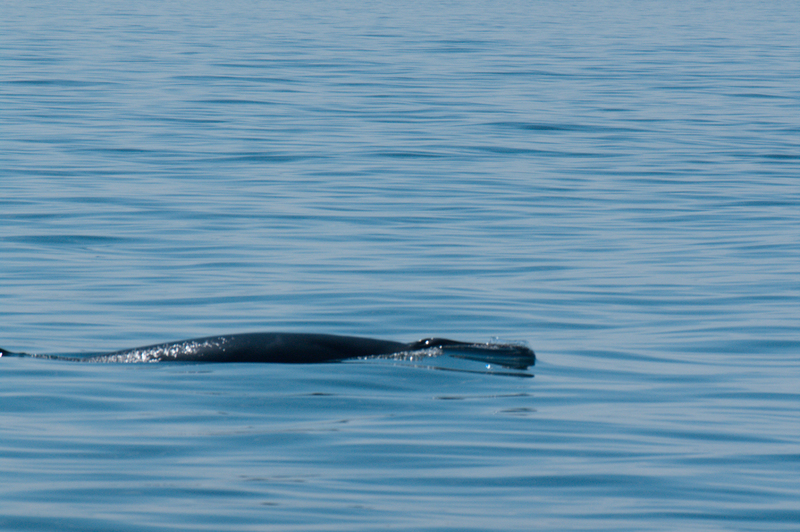 Toward the end of the trip we came across a Minke Whale and saw it breach magnificently. This is a hard whale to follow and usually is hard to catch with the camera but we had a couple of pretty decent shots. On the negative side, Skipper Roy told us he had seen a Fin Whale the previous day as well as three Atlantic White-sided dolphins – but not today! 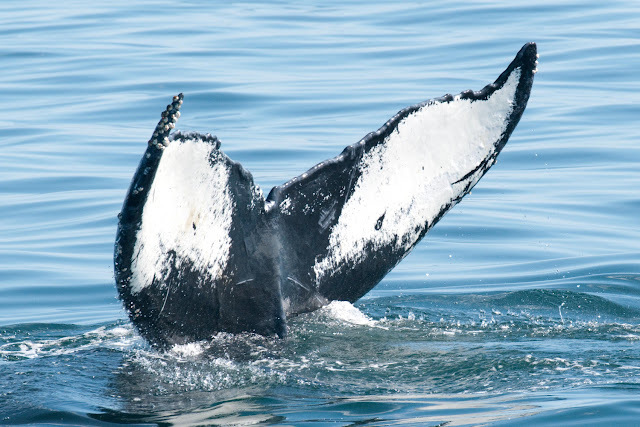 Last week a Right Whale was seen by one of his friends – but not today! One should really stay for a few days and make several whaling trips but that will have to wait for another year! Well satisfied with the spectacular views of both birds and whales, we left Brier Island and drove back north up Digby Neck and then back south down the Acadian shore to Yarmouth and beyond to West Pubnico where we were booked into the Red Cap Motel and Restaurant. We checked in and walked across the street to scope the adjacent bay. 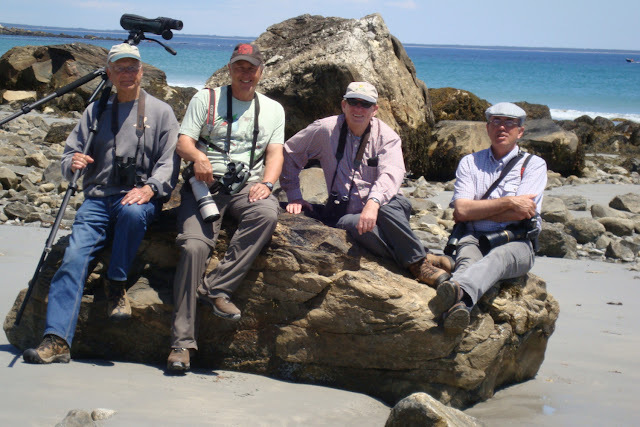 A local birder by the name of Alix d’Entremont saw the four of us and very kindly pulled over to introduce himself and chat about the local birdlife. One of the joys of this Big Year is the helpful and friendly people we meet along the way. Alix gave us lots of useful information about where we might bird the next day and we thank him! While we were chatting with Alix, my son Rob and his wife Caroline arrived. They had driven down from their Alpaca farm in central Nova Scotia to join us for a day. We enjoyed a pleasant supper together before packing it in for the day. Like yesterday, today was one of those days where we were full of anticipation. And like yesterday, we were not disappointed! We were up and away early to a place called the Stan O’Brien Trail into Goose Creek Marsh which Alix told us about the previous evening. This spot was a hidden jewel and we enjoyed a good hour there, adding a couple of new trip birds (Least Flycatcher and Eastern Wood-Pewee) plus a good number of new Nova Scotia birds. 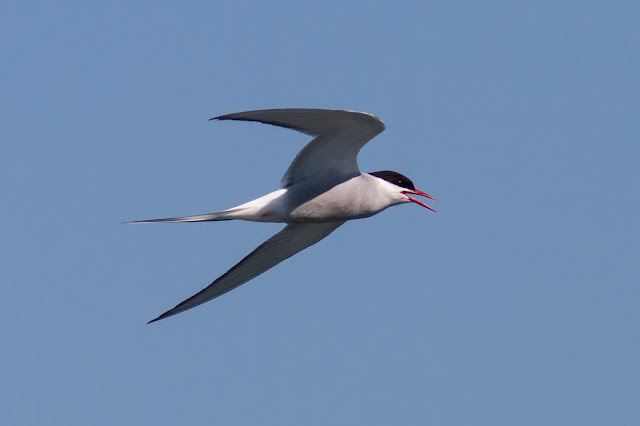 We couldn’t stay long however because next in store for us was yet another boat trip, this time to seek out Roseate Terns. 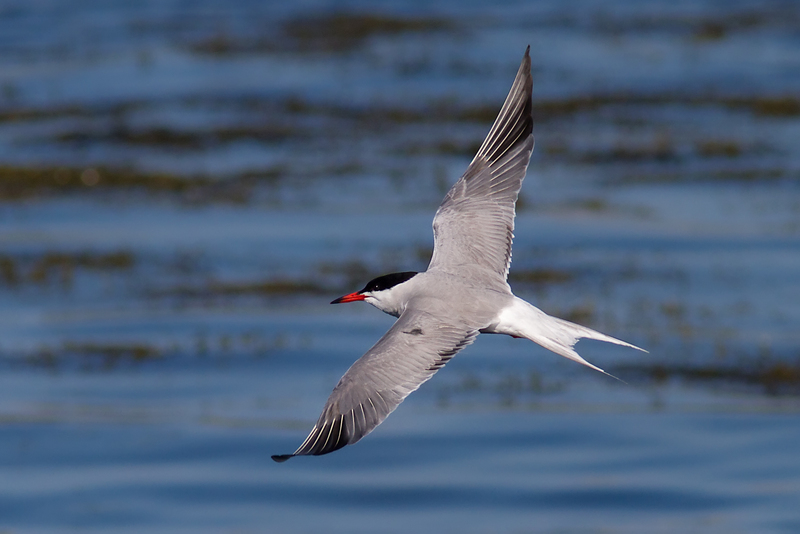 Very few of these terns are found in Canada and West Pubnico is the place to find the few that make it here. It’s a well-known spot in the birding world and just over a week ago, there was actually a tern festival in the area, apparently an annual event. Together with about six other people, we motored out to the Brother Islets, two very small rocky islets which seem to be ideal for terns! Our excellent guide, Ronnie d’Entremont, told us there were several hundred terns nesting on the northern islet, mostly Common terns but also a number of Arctic Terns and of course – some Roseate Terns. We were in luck! We saw all three species and good views of each one! Perhaps you experts can tell which is which? Answer: The first is the Arctic, the second is the Common and the third is the Roseate! From West Pubnico we drove to Cape Sable Island for the second key target of the day. Here we were looking for yet another rare Canadian breeding bird, the American Oystercatcher. 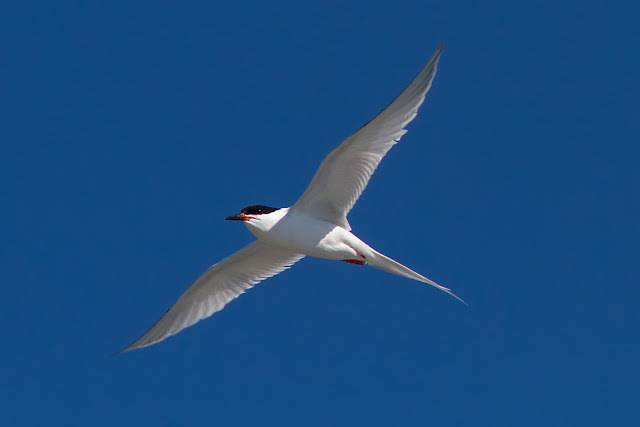 Like the Roseate Tern, this species is fairly common much further south but in Canada is extremely rare, found only sporadically on our Atlantic Coast and Cape Sable Island is the only reliable place to try for it. 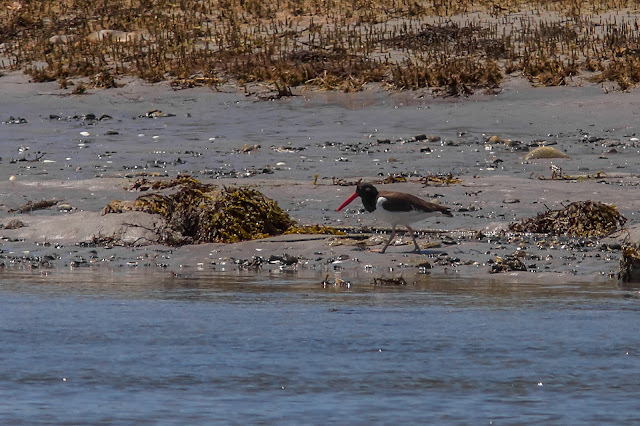 We were advised by one of our Nova Scotia birding friends (James Hirtle) to contact Johnnie Nickerson, a local expert, to help us locate this Oystercatcher. Johnnie came through with flying colours. Within a few minutes of our arrival we had two of them within our sights. 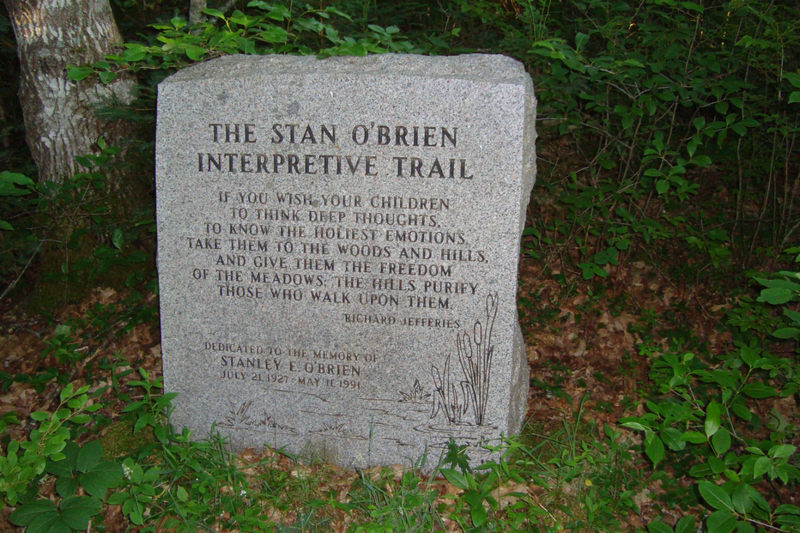 We spent the rest of the afternoon driving north to Bridgewater where we will spend the night. Tomorrow we will meet up with James Hirtle who guided us around these parts in our visit her back in January.